NGC 1491 is an older, evolved HII region ionised by the O5 star BD +50 886. SIMBAD gives a slightly cooler O6 class for this star. Contains the infrared star cluster [BDS2003] 62. 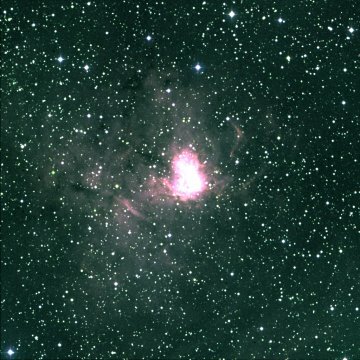 A very good visual frequency image of this nebula is available here and a recent WISE infrared image here (Sh 2-206 (NGC 1491) is on the right).